While displaying some special and unique features for the sight impaired audience. Each page personally approved by none other than Ronnie Milsap! A WORLD FIRST - WITH MORE DETAILS TO FOLLOW SOON! 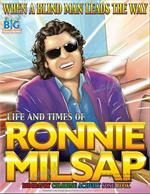 Ronnie Lee Milsap (born January 16, 1943) is an American country music singer and pianist. He was one of country music's most popular and influential performers of the 1970s and 1980s. He became country music's first successful blind singer, and one of the most successful and versatile country "crossover" singers of his time, appealing to both country and pop music markets with hit songs that incorporated pop, R&B, and rock and roll elements. His biggest crossover hits include "It Was Almost Like a Song", "Smoky Mountain Rain", "(There's) No Gettin' Over Me", "I Wouldn't Have Missed It for the World", "Any Day Now", and "Stranger in My House". He is credited with six Grammy Awards and forty No. 1 country hits, third to George Strait and Conway Twitty. He was selected for induction into the Country Music Hall of Fame in 2014. St. Louis, MO – Nashville, TN May 19th, 2017: Wayne Bell Publisher at Really Big Coloring Books®, Inc. Music Division-The Color Tones® announces today the signed full execution of a Publishing Agreement with Ronnie Milsap via his Manager Burt Stein of GME. The product entertainment launch includes a book with music for Mr. Milsap based on his life and times with copies to be distributed in English, Spanish, French, German and Italian. The book portion of the new products will include braille while displaying some special and unique features for the sight impaired audience, listed into the US Department of Education covering all 50 states and will become available in numerous music distribution outlets and across the globe via online streaming services and the internet. The music portion will be a new song sung by none-other than Mr. Ronnie Milsap. Product promotion will come from both the Bell and Milsap camps. Really Big Coloring Books® (RBCB) are manufactured in the United States with soy ink and guaranteed 100 percent safe against non-toxic inks, paints and dyes! We participate in the Sustainable Forestry Initiative Program. RBCB books are registered into the Library of Congress and all works, images and text are trademarked and copyrighted. 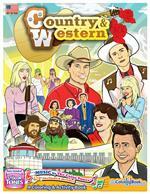 Explore one of America’s greatest music genres in this 36 page coloring/activity/song book filled with all the Country and Western greats. From the smoky hills of Appalachia, to Nashville, TN, and into the 21st Century Country. 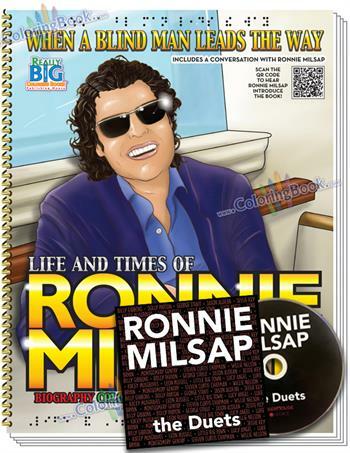 This 40 page coloring book is all about Ronnie Lee Milsap. Life and Times of Ronnie Milsap Biography Coloring Activity Song Book.